Andy asked the ladies if they’re ready for Season 9 to start. Kyle confessed, “I’m really nervous. I feel very anxious.” Interesting. Rinna had a very different response. Instead, she enthusiastically declared, “I can’t wait. I think it’s like two seasons in one.” Andy agreed with her assessment. Kyle promised, “It’s a really wild ride.” Let’s hope so. They have three (very) boring seasons to make up for. The fans deserve it. 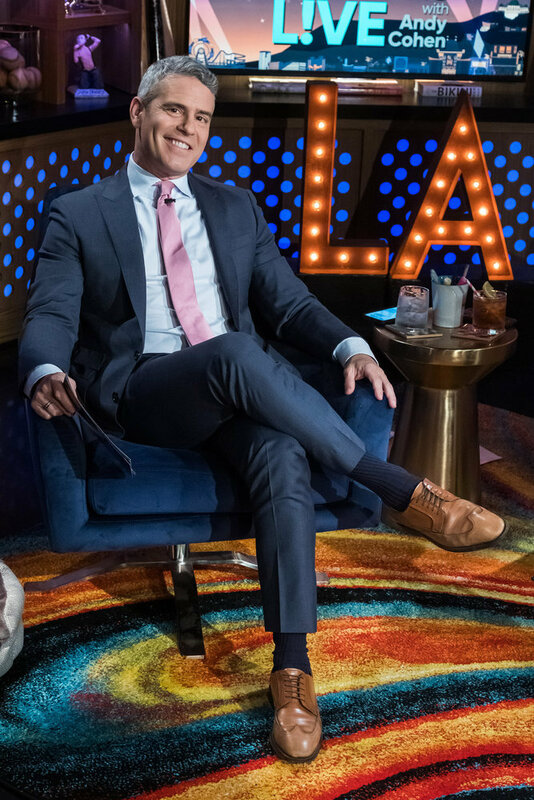 Andy asked, “Who gets into the most fights this season?” Kyle and Rinna said, “All of us.” Teddi jumped in with “It’s really a tie.” Now, that’s what I like to hear! When asked about new Housewife Denise Richards, Teddi teased that she brings “shock value every night.” Let’s hope so. If Denise got a diamond over Camille Grammer, this better be a genius casting decision. And then she followed up with, “I’m going to take a stab in the dark and say it’s going to be me. I was kicked out of her house.” So that rumor is true! Kyle really did get the boot from Villa Rosa. 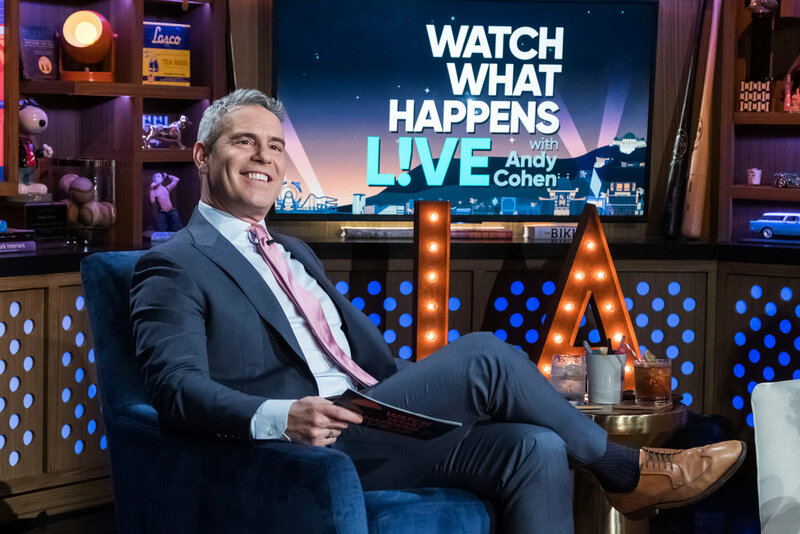 Once again, Andy instigated the cast to shade LVP. He asked, “Who’s the biggest mean girl this season?” In all honesty, Kyle seemed nervous to answer that question. Even so, she said, “I don’t know if “mean girl” is the right word, but obviously, we have an issue with Lisa Vanderpump.” Yes, they do. How are they going to do the reunion seating this year? Lisa Vanderpump in a recliner with everyone else on a massive sectional couch? Andy pushed, “Does the bunny come up in conversation when you see Kim?” Rinna asked him, “What do you think?” Of course, it does!! She needs to give Rinna a bunny rabbit stuffed animal whenever she welcomes her first grandchild. Let’s bring the journey full circle. 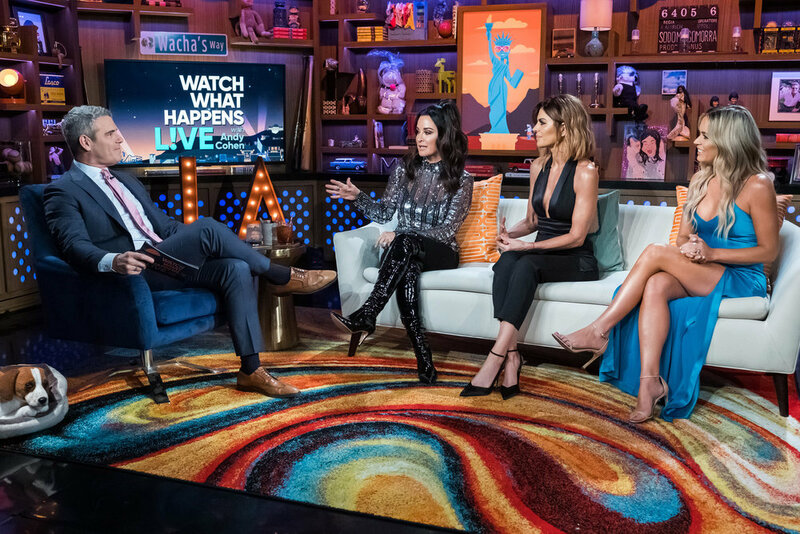 A fan asked Teddi, “Why did you decide to post a photo showing that Lisa Vanderpump used a stand-in for the cast photo this year?” Teddi admitted she did that “to be shady.” YES. Finally, Teddi stepping up her game and acting like a Real Housewife. Andy joked, “And that’s called being accountable for your actions!” Yes, it is. 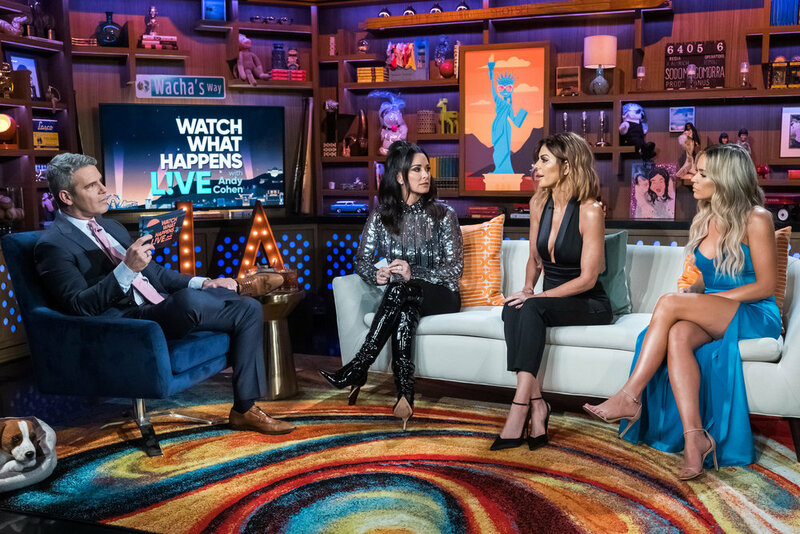 Click through the photo gallery below to see pictures of Kyle Richards, Lisa Rinna, and Teddi Mellencamp Arroyave from last night’s Watch What Happens Live episode. TELL US- DO YOU THINK LVP IS CAPABLE OF BEING THE “MEAN GIRL” OF THE SEASON? WHO DO YOU THINK WILL HAVE THE ROUGHEST TIME THIS SEASON?